Soil contamination can wreak havoc with human health. There is growing fear in many parts of the Malwa region in Punjab that the presence of heavy metals in the subsoil has led to autism, mental retardation and learning disabilities among children. 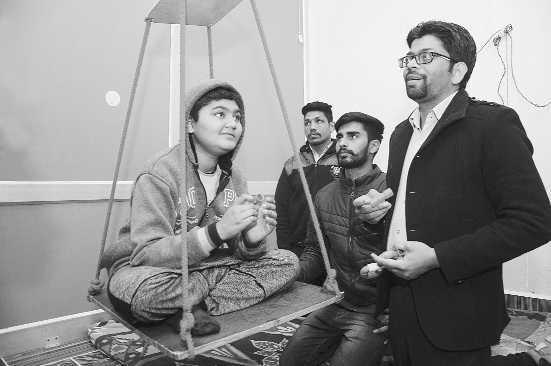 A study conducted by Baba Farid Centre for Special Children (BFCSC) along with the National Research Centre on Camel (NRCC), Bikaner, shows that autism can be treated. Of the various treatments suggested, camel milk is also being recommended in treating autistic children. Children who were given camel milk have reported better sleep, increased motor-planning abilities and spatial awareness, more eye contact, better language, and less gastrointestinal problems. This has fed demand for camel milk, especially in the Malwa region. At present, the NRCC is providing camel milk at the BFCSC, Faridkot, for autistic children. For research works, it is supplying the milk at Faridkot, Bathinda, and Ambala. The price of camel milk depends on quantity and transport. Dr. Pritpal Singh, who is working for autistic children at the Faridkot center, hopes that camel milk will prove beneficial for such children. Many doctors claimed that autism is neither a mind nor a genetic disorder. It is a biochemical disorder involving the whole body. “Lower immunity with repeated bacterial and fungal infections, multiple allergies, autoimmunity, and leaky gut with diarrhea or constipation are universal. Camel milk, in these cases, works like a magic potion,” said Dr. Amar Singh Azad, chief consultant at Baba Farid Centre. The BFCSC has taken up a research project in collaboration with the NRCC. Dr. Amar Singh Azad, Baba Farid Centre, Dr. NV Patil, director and Dr. Raghvendar Singh, principal scientist, NRCC, are supervising the project. He said research in other countries had also revealed that camel milk was effective in tackling autism as a study in Saudi Arabia had proved that autism symptoms improved with camel milk.Dr. Raghvendar, head, ICAR-CSWRI, Avikanagar, says studies published in the International Journal of Human Development showed that the consumption of camel milk improves immunity among autistic children. Camel’s milk as remedy for autism-afflicted MalwaYou can read the above article in connection with the letter of Ram Prasad, who wrote to me from India. A comment, very relevant here by Mike in a Facebook statement on my article. MikeEng KH Agree, some of the important changes include better night sleep, explore & try more food choices, eye contact, less hyper…. it’s important to look into other minerals supplements on top of camel milk.